Just got this bag yesterday. I had just one small problem and that was my long shoe horn would not fit into the pocket. I solved the problem. I left the shoe horn home. The best looking bag out there. The bigger wheels are so much nicer than hard plastic. It rolls so smooth too. I wish they made this in a 6-ball roller with the same wheels. My husband purchased this white/black bag for me last week. Absolutely beautiful! The pictures really don't do it justice at all. 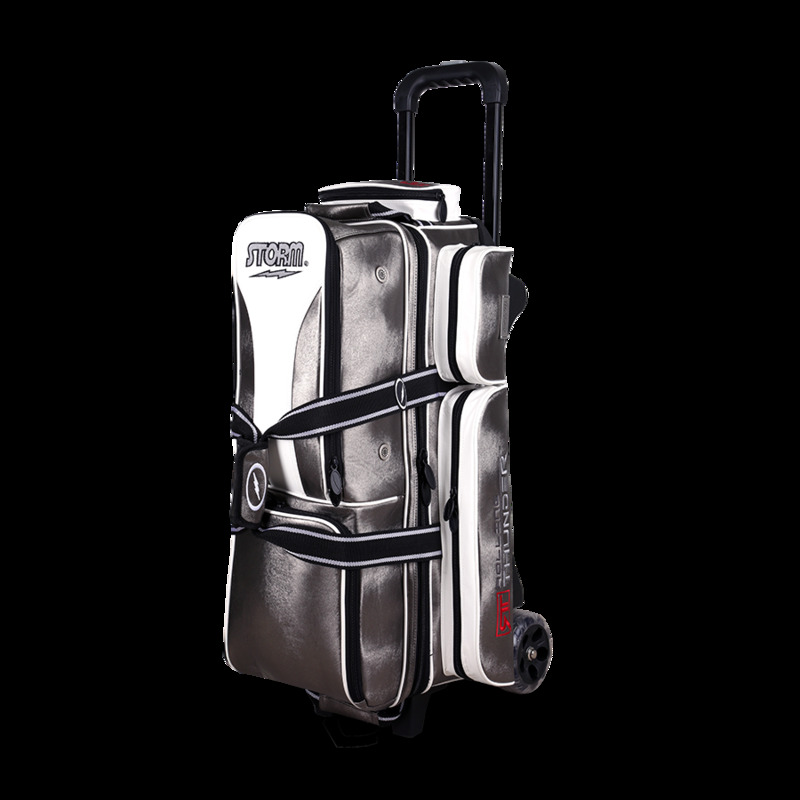 It is well made, sturdy, plenty of storage compartments, and rolls very smoothly. This bag looks very classy!! Absolutely beautiful bag! Well made, sturdy, great and ample storage compartments. Bowling balls are secure. Rolls very smoothly. This is a very classy bag and I couldn't be happier with it!